Well, while the jury may still be out on the acceptance of competition in fly fishing, I must say that the folks at Gold Rush TU put on a great event Saturday to help raise funds for their cold water conservation projects. The 1st Annual Gold Rush Cup went off as smooth as silk with great weather, great food and great friendly competitors. 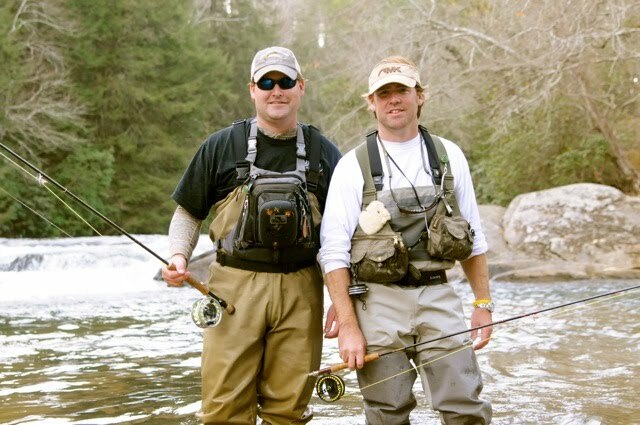 And they couldn't have picked a more perfect host venue, Frog Hollow on the Chestatee River. 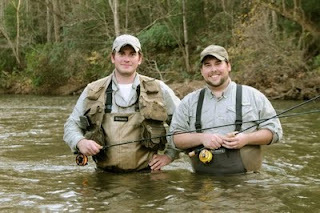 Over 100 people attended the event and anxiously paced the river banks trying to keep up with who was catching what. The two-angler teams had an hour to fish each of 5 beats on the river and could record two fish for each member during that time. 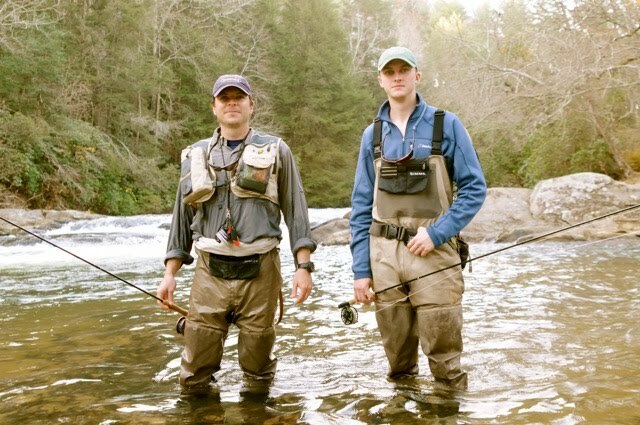 From observation, the pressure of competition appeared to result in trying to force some fish into the net as quickly as possible and, for those of you who have fished at Frog Hollow can attest, you don't force those fish anywhere. 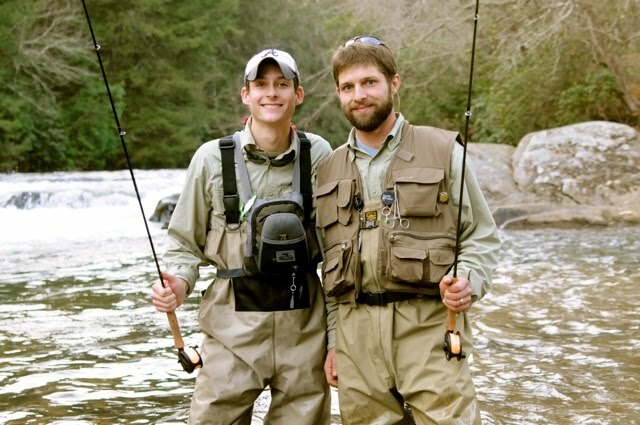 Even Team Unicoi, Hamp Cross and Chuck Head, were observed long distance releasing a few fish. 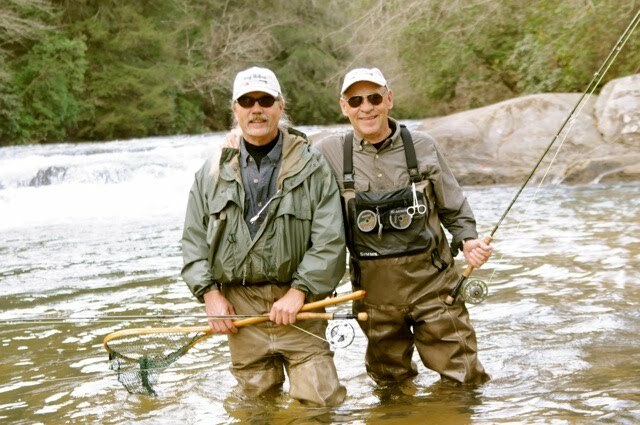 All in all, it was a fun way to raise money for Trout Unlimited and Chuck and Hamp walked away with a nice cash prize and two custom-built fly rods donated by Garland Stewart. We're very proud of Hamp and Chuck. As always, their professionalism and angling skills were obvious. Thanks to Kenny Simmons for the photos.